Debuting in All Japan Pro Wrestling in 2007, SANADA is a powerful asset to Los Ingobernables de Japon. He moved to WRESTLE-1 in 2013, and later became the first Japanese TNA X Division champion. After a period working the independent circuit, he made his NJPW debut in April 2016. 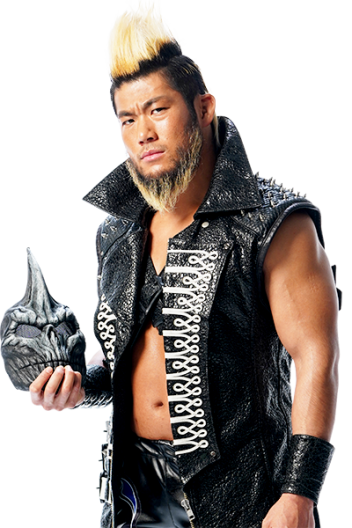 With a heavy influence on his in-ring style from mentor Keiji Muto, SANADA will very often head up for a picture perfect Muto style moonsault to finish opponents if they don’t submit or pass out from his Skull End dragon sleeper. In only his second match as a full time member of the NJPW roster, SANADA defeated Hiroshi Tanahashi, instantly making himself known as a top contender. His all round ability transferred well to team efforts as well. With EVIL, he won two back to back World Tag Leagues, and followed both wins up with IWGP Tag Team Championship reigns. Adding BUSHI to the fold as a trio, he’s a forfmer three time NEVER Openweight 6 Man Tag Champion. SANADA makes no bones about wanting to be a singles champion soon, however, and seems to be getting closer to his goal. At the New Japan Cup 2019, SANADA reached the finals in a phenomenal run. He’s one big win away from the very top of the card.